The College of Education will lead the way in North Carolina in increasing opportunities for success in education and reducing achievement gaps. Through our Friday Institute, we led the development of North Carolina’s K-12 Digital Learning Plan with funding from state government. Development of a national model for elementary STEM teacher development, a $3 million NSF grant. The ATOMS research team is studying the development of teacher candidates as they progress through the elementary education program into their first years of teaching. The project examines pre-service teachers’ development in the areas of science and mathematics content knowledge, pedagogical content knowledge, self-efficacy beliefs, and teaching practices. Since 2010, the Northeast Leadership Academy (NELA) was awarded $14 million in grants to develop, deliver, and research strategic partnerships to create robust leadership pipelines. The goal of NELA is to increase student achievement by preparing and retaining principals to serve as instructional leaders in rural high-poverty, historically low-performing schools. NELA 2.0 creates a comprehensive leadership development and succession plan for the consortium of 13 high-need school districts in Northeast North Carolina. 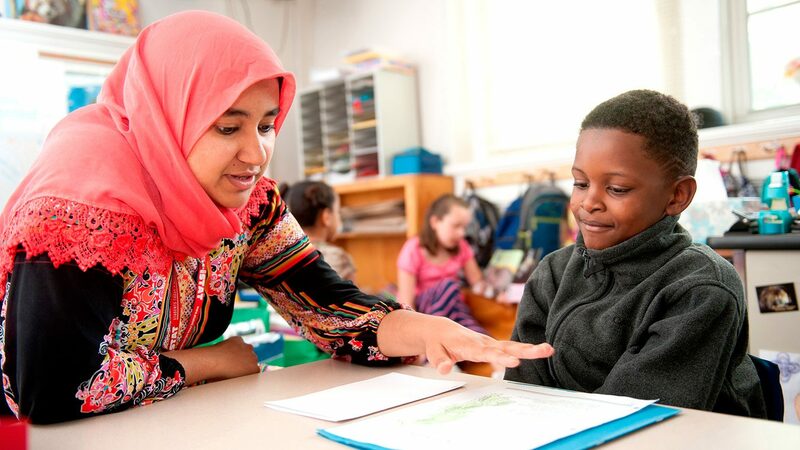 The College of Education has committed time and resources to supporting beginning teachers throughout the state of North Carolina through one of our signature programs the Beginning Teacher Institute. Our BTI is focused on providing support to new teachers in an effort to both improve performance and assist in retention. The NC State BTI includes a three day summer institute and follow up sessions during the school year to support new teachers in organizing, planning, implementing, and analyzing instruction. Topics for the Institute are practical and based on participant input. Facilitators and speakers are successful, practicing teachers including the North Carolina Teacher of the Year as well as faculty and staff from the College of Education. Currently ranked #52 by US News & World Report, but by preparing high quality educators and school administrators, and serving North Carolina Public Schools our impact is beyond measure.